It’s still somewhat the start of a new year, so let’s just keep rolling with that theme shall we? New year…..new blog….you get the idea. The idea for this has been in the works for some time now, but during the adventure that was our anniversary dinner last night, Steve and I decided to just go for it. Cause why not? 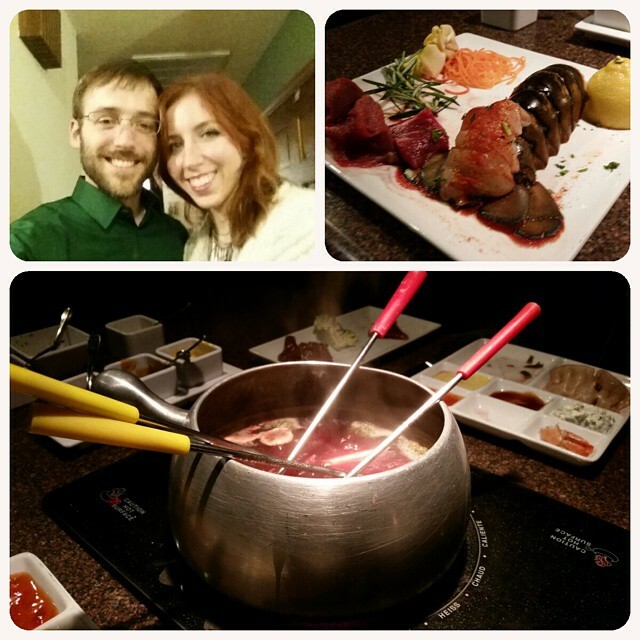 Last night was our 1 year anniversary dinner (a day early but who’s counting) at The Melting Pot. We had made reservations for 8, and, as usual, arrived early. Gah. Maybe one day I’ll get timing down. Until then I shall be perpetually freakishly early to everything. Yes. I’m that person. Anywho. What will you do when you’ve found your passion?